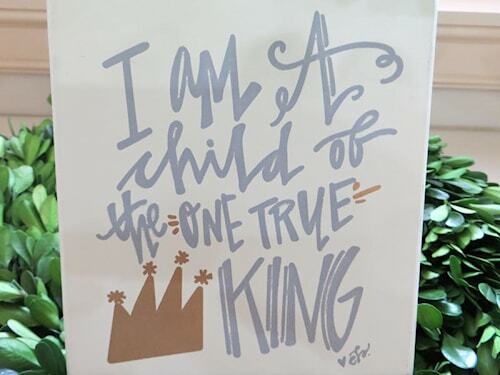 I Am a Child of the One True KIng sign. Silver writing on cream background with a gold crown. 5" x 5 1/2" x 1 1/2". Box stands alone, hangs on a wall or nestle it in a Christmas tree.